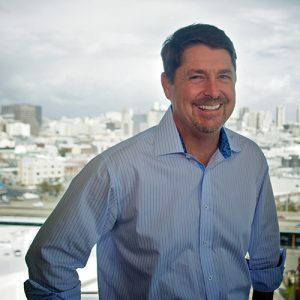 Today's Entrepreneur is Brent Vaughan co-founder and CEO of Cognoa, an AI-based digital health company that is developing a digital precision medicine platform incorporating proprietary Software as a Medical Devices (SaMDs) to change the standard of care for the diagnosis and treatment of behavioral health indications in pediatrics - starting with autism and ADHD. Prior to Cognoa, Brent was the co-founder and COO of WellnessFX, an award-winning digital health company that increased patient engagement via direct to consumer diagnostics and telemedicine integrated with a secure personalized health data dashboard available on web or mobile. Brent is passionate about building new products that change people's lives meaningfully. He has developed and implemented innovative business models, strategies and deal structures to enable development and commercialization of new technologies in the healthcare and biotechnology sectors. Brent holds a BSc degree in Biochemistry from UC Davis and MBA from Santa Clara University. Brent joined us at Invent Health - Future of Behavioral and Mental Health on April 4th in UCSF Mission Bay at a panel where we discussed new technologies that address our emotional well-being, from mild anxiety to comorbidities. Follow Vatornews to watch the video. I find I am most interested in using new technological approaches to solve problems in ways that have not been previously used or envisioned. In healthcare, you can have the opportunity to improve the standard of care for thousands or millions of patients - that is pretty powerful. I don’t have a lot of time to be up to speed on other companies… I kind of like ours. also, Arterys is kind of cool. I was struck by the acute unmet medical need for earlier treatment in pediatric behavioral health and how it can create improved lifelong outcomes for patients. I saw earlier diagnosis and treatment of pediatric behavioral conditions as an area where AI could fundamentally change the standard of care for every parent and young child. It can be frustrating to deal with advice or criticism from people who don’t have a fundamental understanding of your business or technology. Since I have focused my career on healthcare, I would say the most rewarding part of being an innovative entrepreneur is meeting a person whose life has been changed by the product or technology you have helped create. Taking money from the wrong investors. 1- Be careful when reasoning by analogy - what made some other company successful, might not be applicable to you. 2- You can teach hires a new industry and new skills, you can seldom overcome lack of stage-fit with your company. What is the single most important thing you know now that you wish you would have known when you started your company? I think the most important thing I would have liked to know would have been, what things are going to be harder and what things were going to be easier than expected. When I look back, I see that we predicted the degree of difficulty correctly on most things, but knowing which tasks were going to be much easier or much harder than expected would have allowed us to make different decisions around timing, resourcing, and prioritization that would have collectively made a difference in where we are today.